yeah ... Doom, Doom2 and Heretic looks like 3d but indeed they are 2D. I am not sure whats your vision but some suggestion from my side, Akom. - use to build some upper platforms to connect dead ends and destination for teleporters maybe. I agree with you, but first i have to read Fromhell's comments about it. I belief in you Akom ya a awesome mapper. I guess by go ahead and bring the map close to a vision that hit a nice gameplay support, Fromhell will be flashed. If you like I can work together with you and support you by give some feedback and share some ideas. Actually i'm working on another project, a tribute map to an older one from ZTN (Blood Run). Wow ... Quake Champion map. the screen shot looks promising. PS: Fromhell, Akom is still waiting for your comments before continuing working on the Doom2 map tribute, see previous posts. Added carca55gr1nd3r's q3dm17 and adriano's q3ctf4evo to the tribute repo. 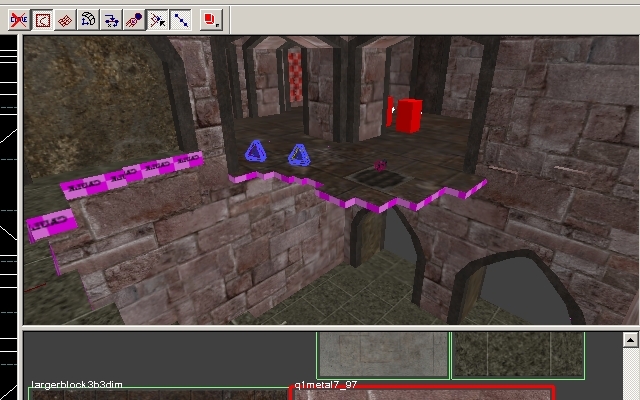 Akom, if you're reading this, if you want Blood Run to be included in the pack (since it's based on the Quake Champions version, it can enter), remember to add the .map file to the archive! When the PK3 will be released, it will contain the original .map file. As always, the maps GPL'd are free to use. Free to be modyfied and free to be hosted in any hosting service. Uhm... if a map is GPL'd we should have access to the source file, according to the license itself. The repo only contains sources to those files. Added Akom's Blood Run to the mappack repo. If you're working with the repo, update your copies! I have reorganized the folders, so now the maps are divided by main gametype (CTF or DM) and tributed map.